Welcome to The Torrance Hotel, East Kilbride. A beautiful wedding venue near Glasgow. Located in The Village, East Kilbride, we boast a stunning restaurant and lounge bar with a state-of-the-art conservatory, 2 function suites, 16 luxurious bedrooms and an out of this world Honeymoon Spa. Why not pop in for a bite to eat with friends or family, or enjoy a relaxing coffee in our conservatory or party the night away in our lively bar!  You won’t be disappointed with The Torrance Hotel and all its bespoke splendour. Our first class facilities will certainly meet all your expectations.